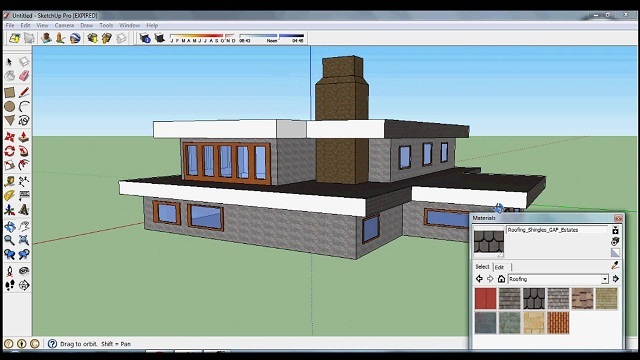 Google SketchUp free download full version for windows pc. SketchUp is basically a 3D modeling computer program used by 3d designers to draw three-dimensional objects extensively used in the film, civil and mechanical engineering. It has a wide range of drawing applications for video game design, landscape design and interior design. This application was launched almost ten years ago. Since then to date, it has been receiving an increasing number of visitors. As the statistics say, it has more than one million users using it to create 3d models of different houses, vehicles, and toys. To retain this popularity and more to meet the increasing demand of the day, Google comes up new versions time to time. The latest version of it has recently been launched by Google with a new name SketchUp 8. This version includes some awesome features. It is available in both free version and paid version with some additional features and functionalities. The solid tools in SketchUp 8 allow designers to create a 3D model faster, featuring a lot of useful options like subtracts, deletes, adds, trims and splits. This new application will reduce the sketching time of a 3D model especially for landscape and interior designing. Besides, it can make a job easier for a designer. This latest version of Google sketch up enables designers to import IFC files directly. It enhances BIM capabilities and allows other software within BIM workflow. The inbuilt label tool allows creating two-segmented leader labels, giving designers more freedom to give a model better look. 1 GHz processor and4 GB RAM.